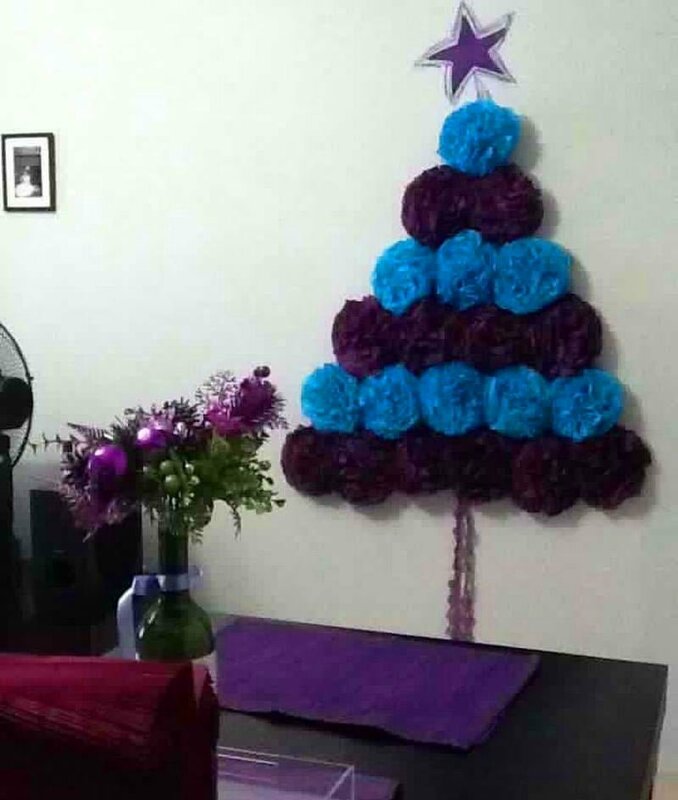 Want to be different and unique this year with your Holiday decor? 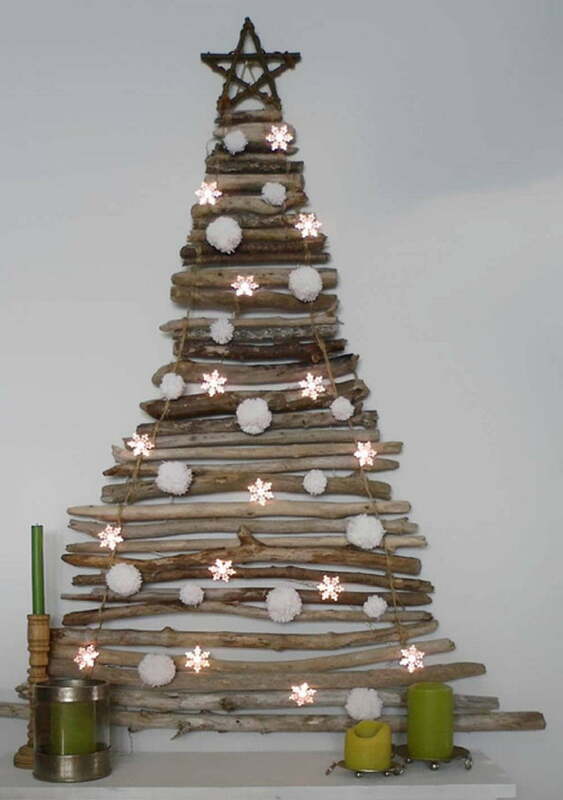 Here are 17 Christmas tree alternatives that will help you do that. 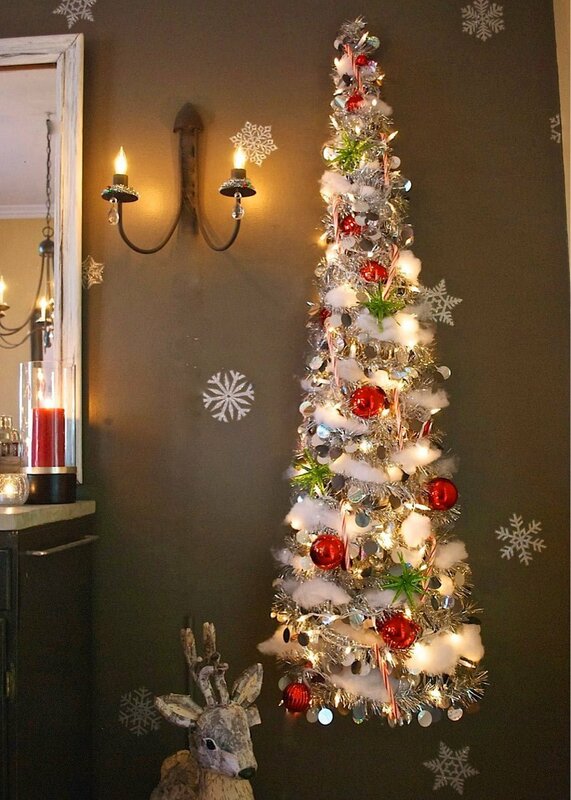 Most of these Christmas tree alternatives resemble the actual tree enough to count as Holiday decor. But they are different and whimsical enough to be unique. 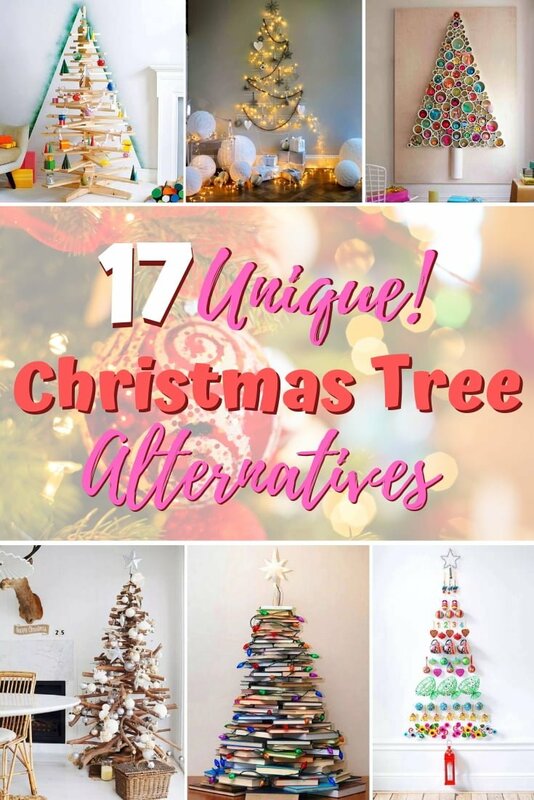 Choose any of these ideas, and your tree will get all the oohs and aahs you want. Have a lot of books? 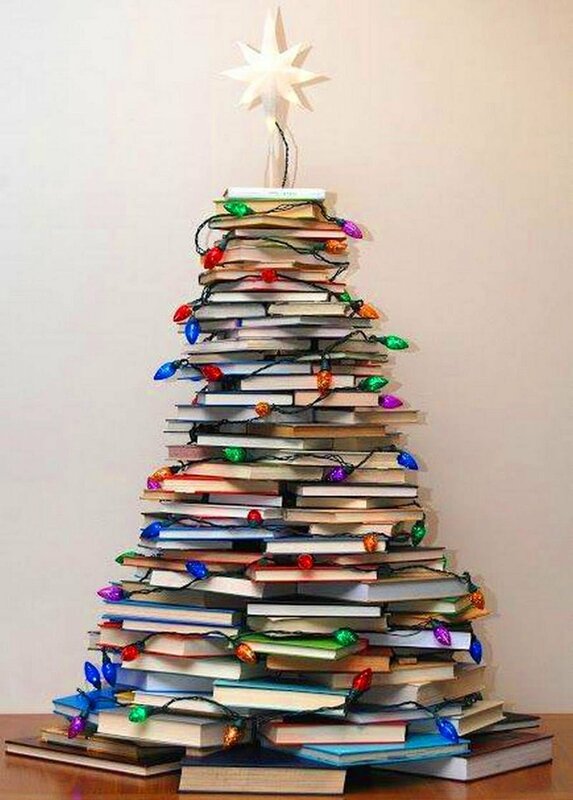 Stack them up in a pile that resembles a tree and put some garland lights – you have a unique book tree! 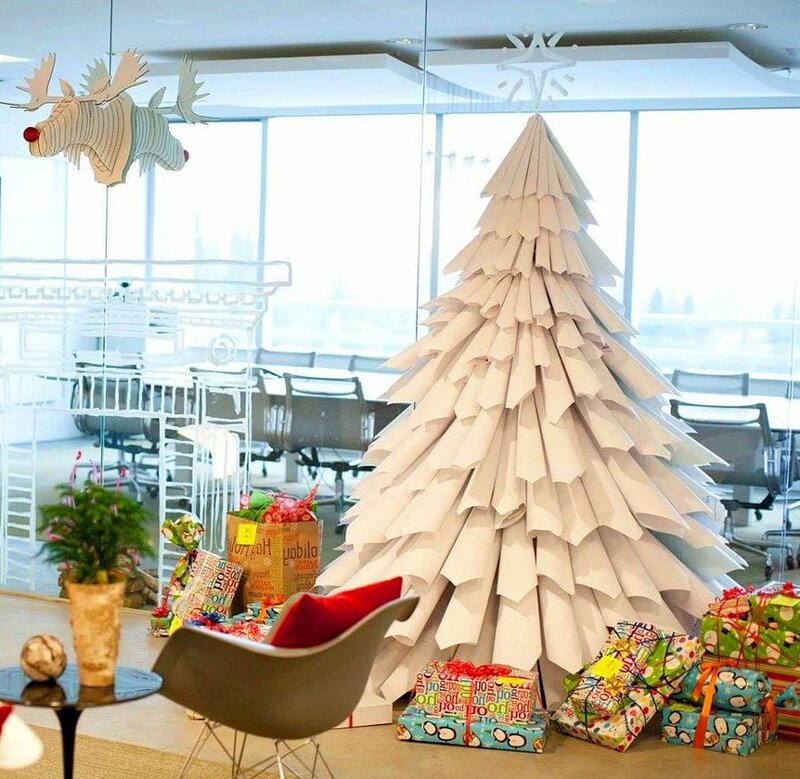 A simple but charming Christmas tree alternative is to use a big triangle cutout and hang Christmas cards on it. 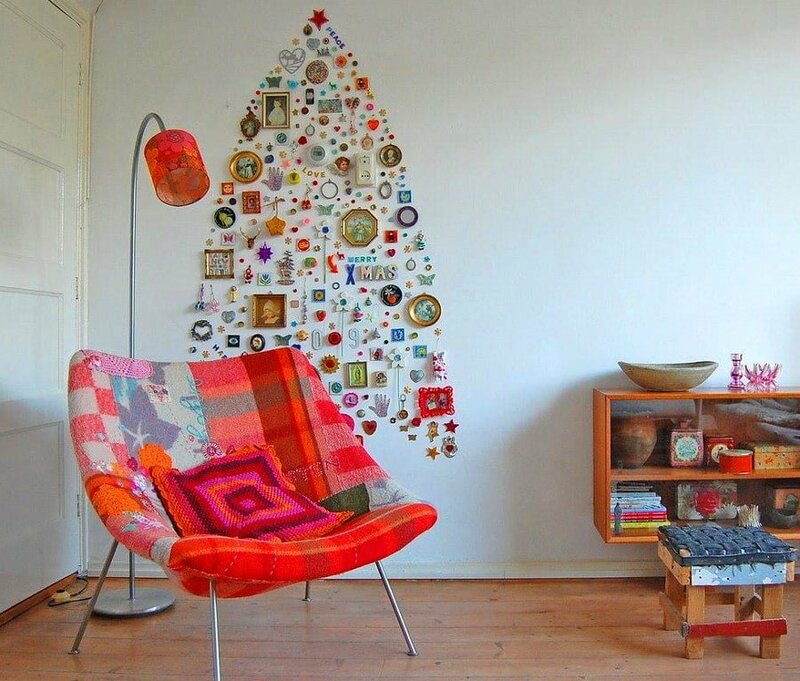 Dealing with small space and have little room for a big tree? 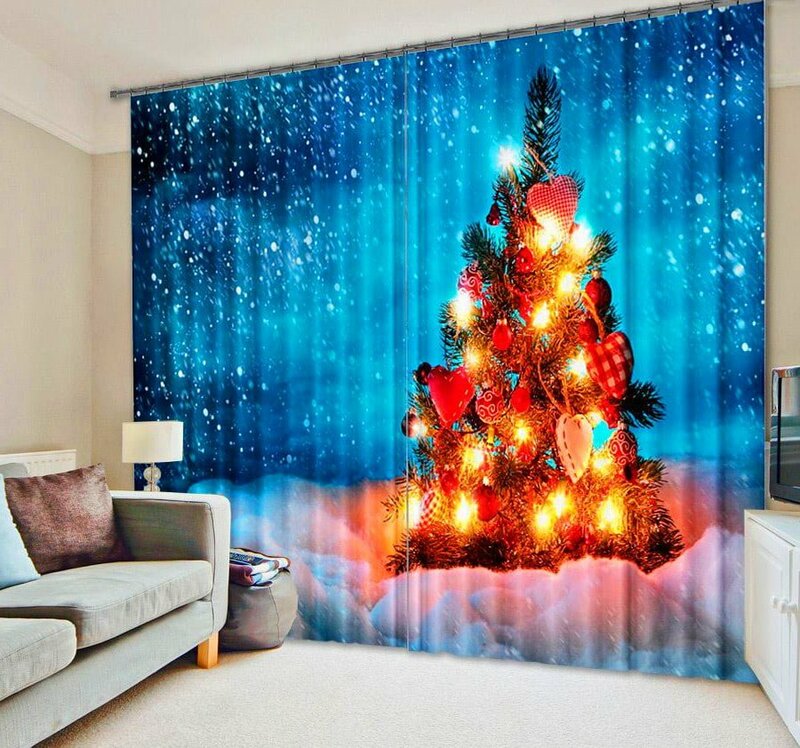 Get a beautiful Christmas tree curtain like this, and you have instant holiday decor. 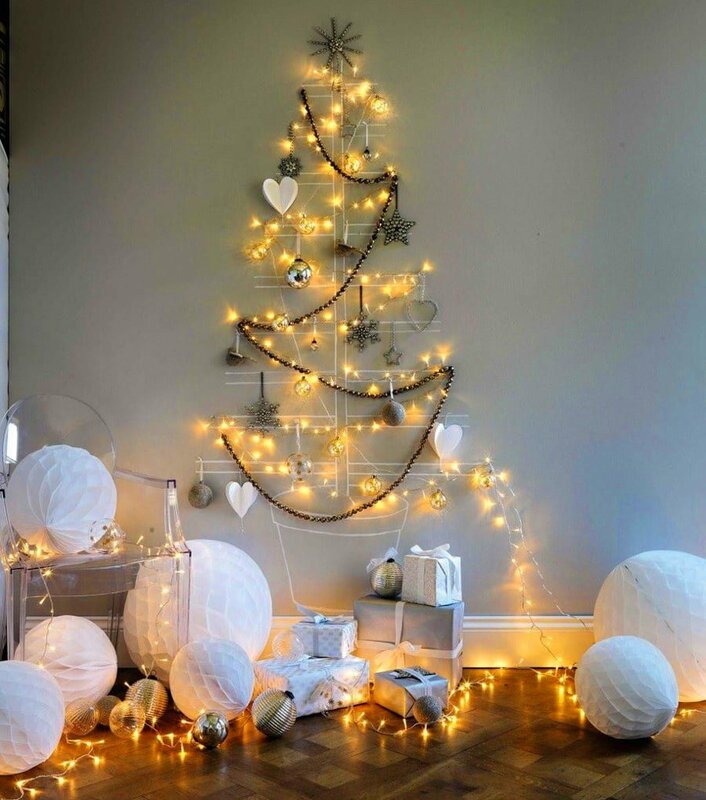 Some simple wall art and garland lights can go a long way to create a beautiful Christmas tree out of thin air. Or if you don’t want to mess with your walls, use a picture frame. Use an antique style frame and Christmas toys to create a very vintage feel. 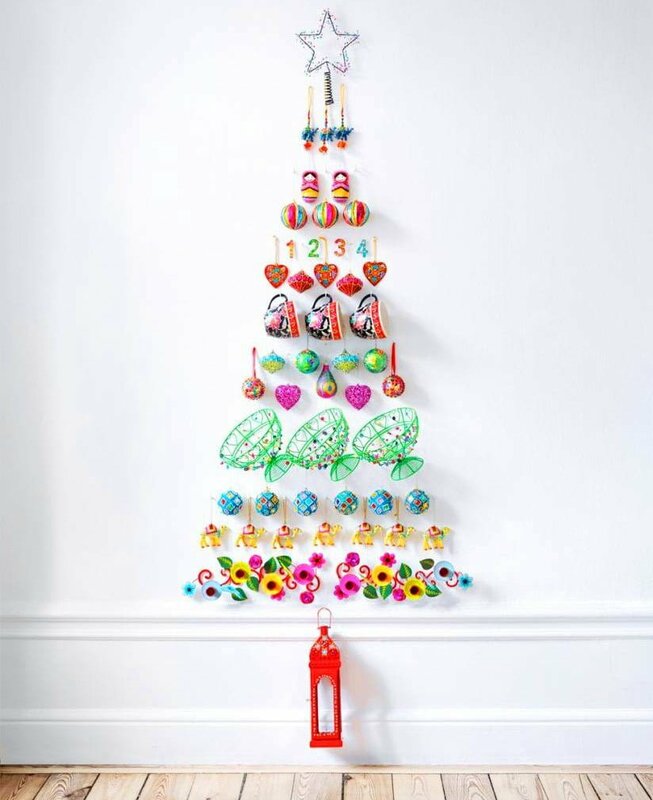 Using paper crafts and layering the same toys in rows create an elegant, orderly effect and a beautiful Christmas tree. Looking for something simple? Just putting paper toy orbs in the correct order, you can have a cute little tree. Creating something personal is simple if you use pictures and trinkets that are important to you and your family. 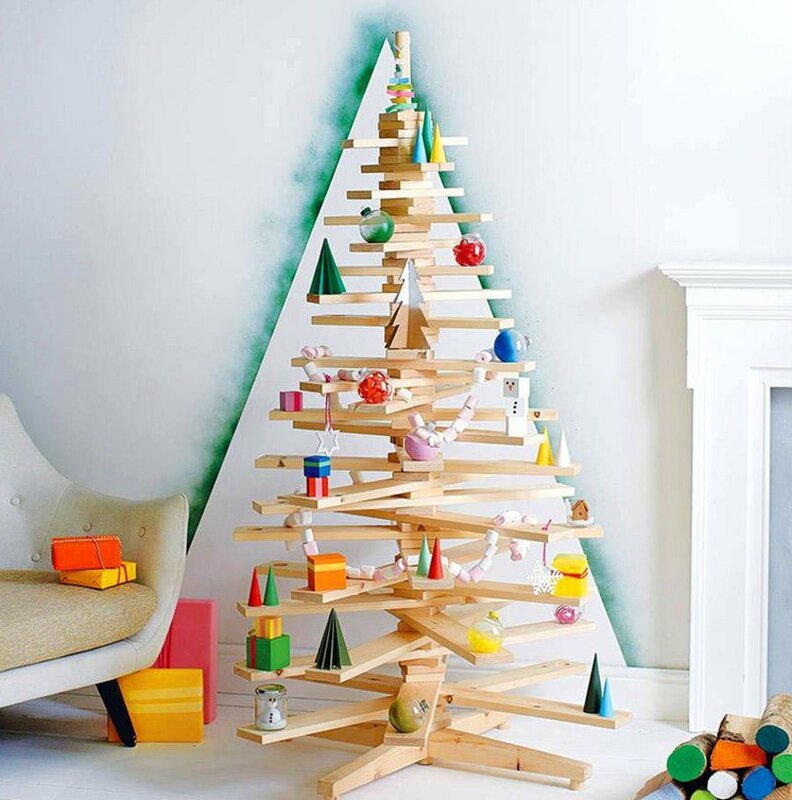 If you have some scrap wood to use you can create something like this tree. 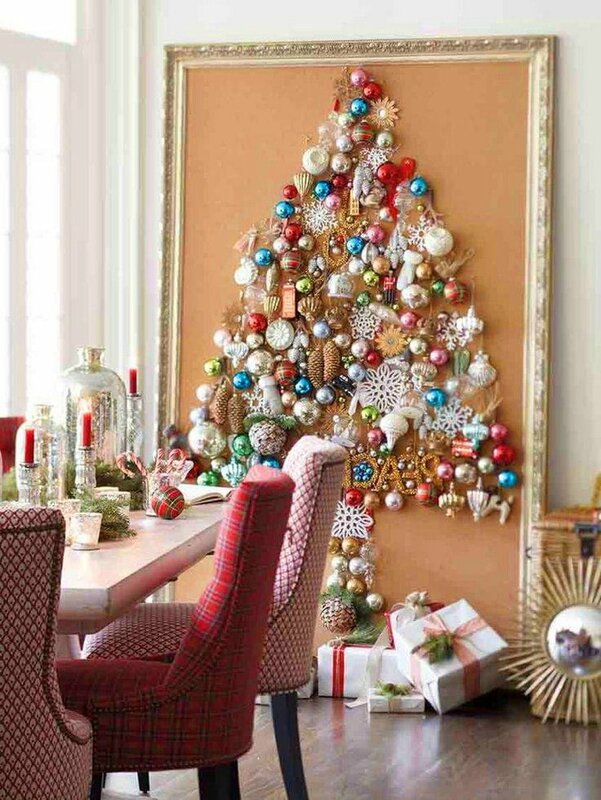 Or use all Christmas decorations you have to create a tree without using an actual tree. Christmas tree made out of tubes – elaborate but truly unique. Do you still need the tree to be more natural? 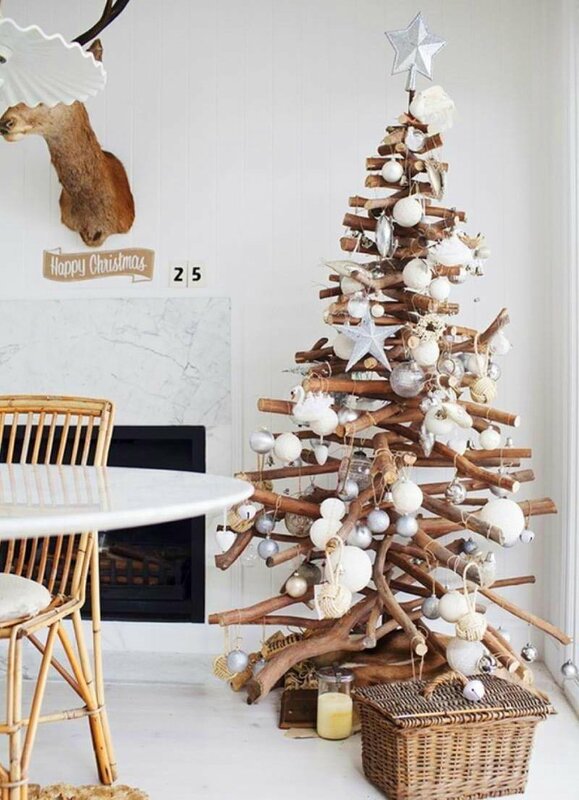 Use driftwood of varying length to create it. 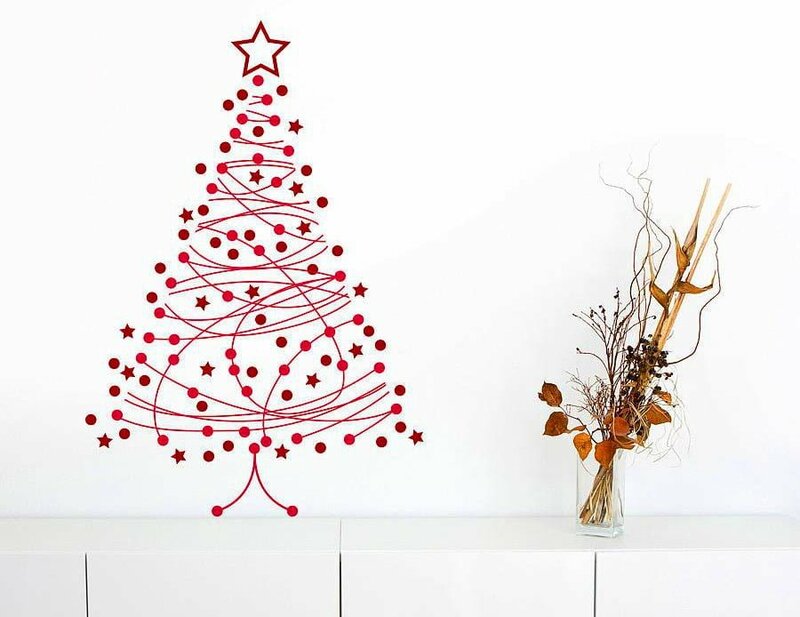 And if a flat tree design lacks dimensions for your taste, you can create something more like a real tree. 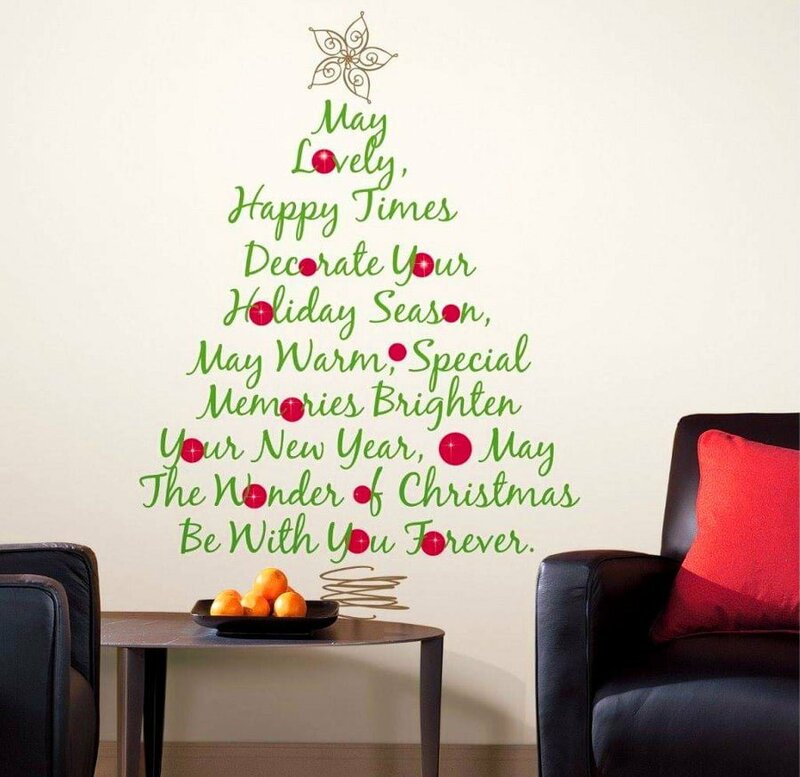 If you’re more into wall art, simple words can tell the meaning of Christmas spirit as well as create a tree. Or you can have something beautiful as this wall art. Want to be trendy? 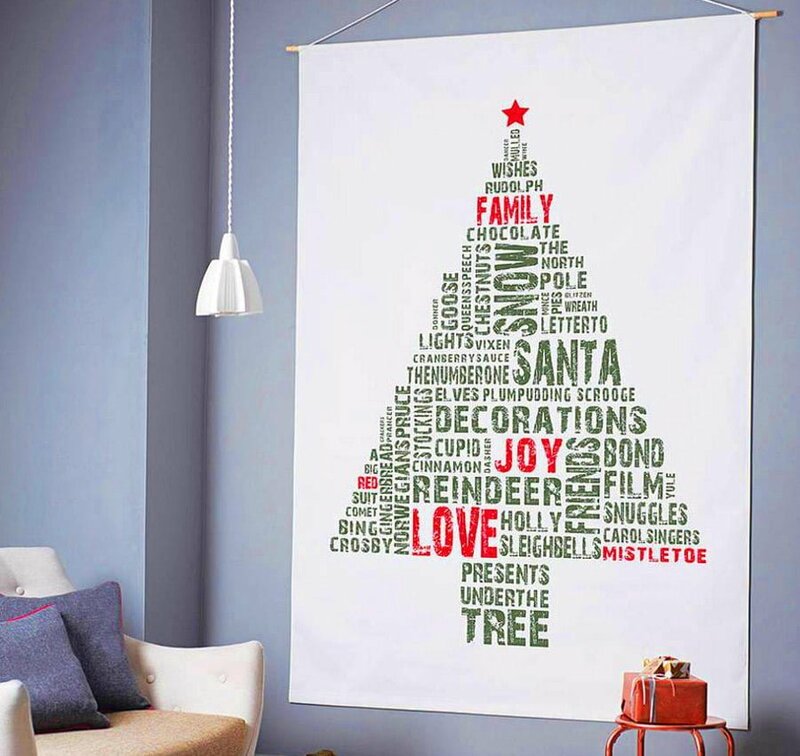 Create a tree of tags that portray the meaning of Christmas. 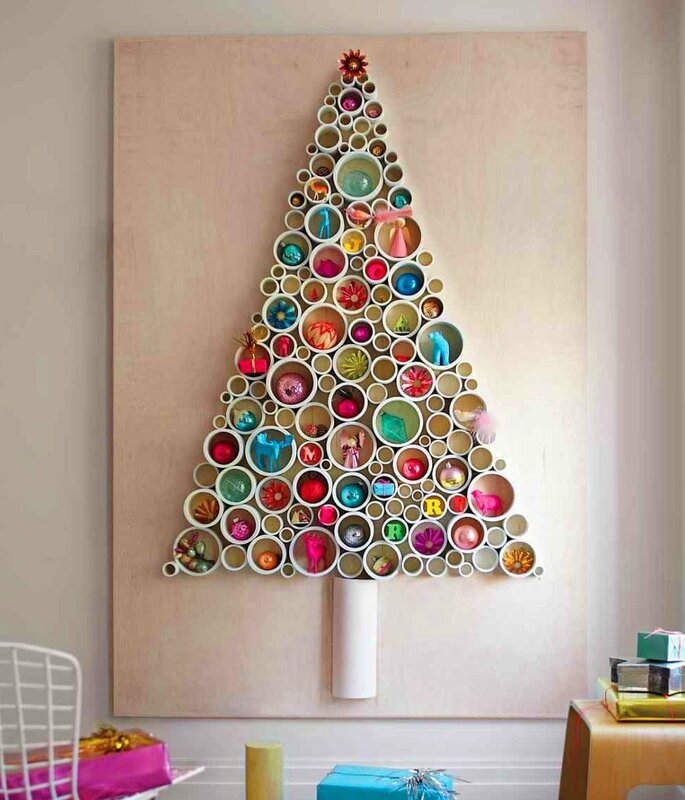 And if you’re into paper crafts, you can create a whole tree by your hands.